We are so used to the objects around us that we pretty much don't see them any more. Sometimes it takes a glance from a different angle to change that. 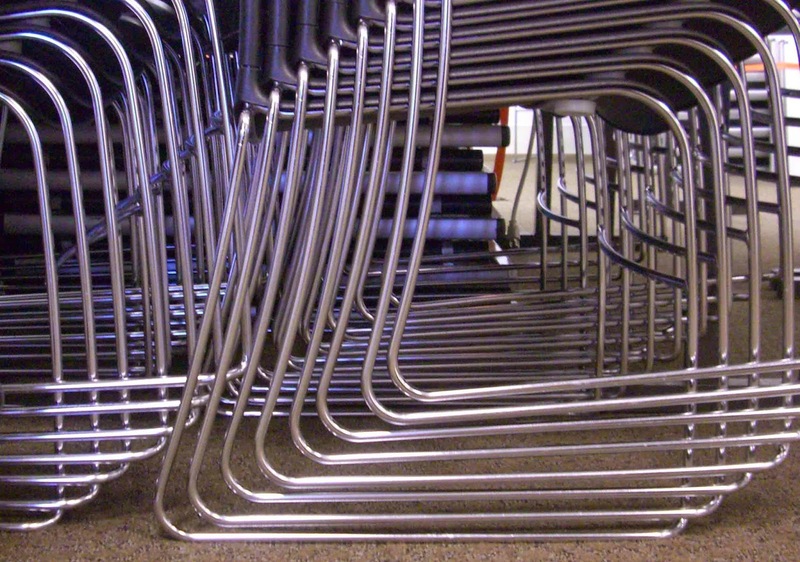 I dropped something on the floor and when I looked up, the stack of chairs in front of me suddenly became a regimented network of angles and crisp curves. Sitting on the floor, staring into the tunnel of chair frames, I thought about how some industrial designer struggled to decide what was exactly the right not-quite-ninety-degree angle for those back legs. How many different barely-curving curves did he or she try? The subtlety involved in designing what looks like a simple and straightforward chair is something to be noticed and appreciated.